Ijo temple is located at the top of the hill known as Gumuk Ijo, the highest hill in Prambanan. Bukit Ijo is on 410 meter above sea level, and it has 357,402 – 395,481 meter above sea level. If we stand on the temple and take a look at to the south, we can see valley with abrupt terrace or escarpment, however it has magnificent panorama to be seen. 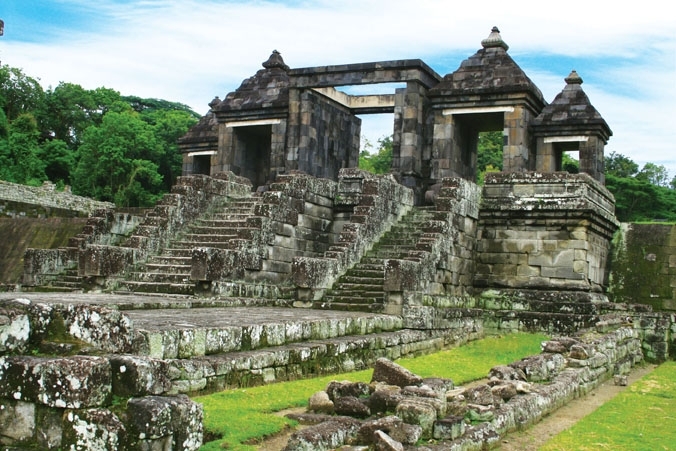 Ijo Temple is consists of several temples with leveled terrace. The most sacred terrace is on the back yard and on the top. This reminds us to one of the megalithic cultural heritages or artifacts, that is ‘punden’ with steps. It is still unknown about the period of its establishment, however from the profile of temple, the motif of kala-makara accessories, langgam arca and relief of the temple is in naturalist style; it has similarity with another temples around which was built from VIII-X century. Therefore, it is predicted that the temple was established also in the same period. The compound of the temple consists of 17 structures lied on 11 terraces with steps on the site. The temple yards are the entrance to the main temple, long wise from west to east. The top temple yard (11th terrace) is the most sacred one where we can find walls surrounding, eight lingga patok, the main temple, and three perwara temples aligning on the front of the main temple. The renovated were at the main temple and the middle perwara temple. The main temple has entrance at the westward. On the out wall there are relung for arca of Agastya, Ganesha, and Durga. Those artifacts are now kept in Kantor Balai Pelestarian Peninggalan Purbakala Yogyakarta. In the temple, there is lingga-yoni that symbolized the god of Siva with the goddess of Parvati. Thus, it can be concluded that the temple is dedicated for Hindu Siva with lingga, called lingga kultus. On the middle of perwara temple, there is arca of lembu (nandi). In Hindu’s mythology, nandi is the vehicle of the god of Siva. The other structures of the Temple of Ijo are on the 9th terrace, ruins of batur eastward. 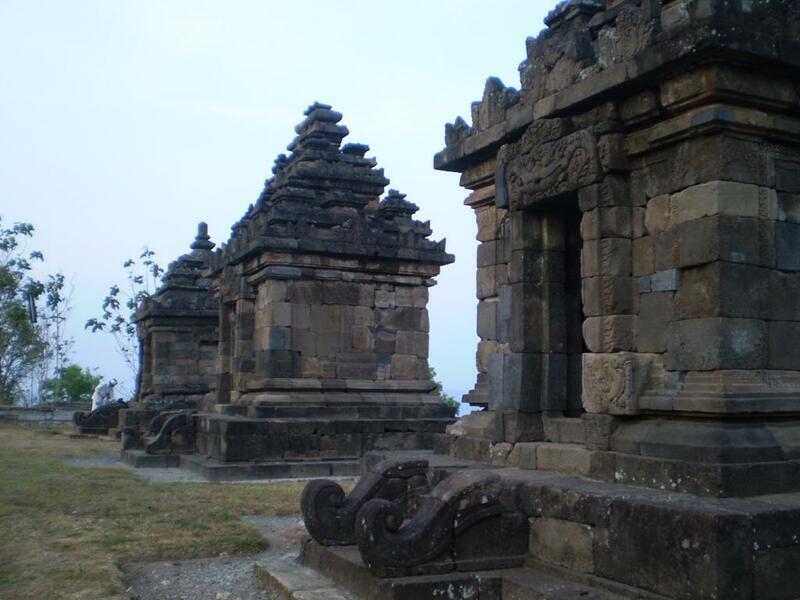 On the 8th terrace, there are three temples and four batur, also two stone inscriptions. One of the inscription was found at the top of the entrance F-coded. The inscription is in one meter height written as Guywan, by Soekarto it is read as Bhuyutan which means asceticism. The inscription now becomes one of the collections of Museum Nasional Jakarta. The other stone inscription is 14 cm high, 9 cm long, with 16 sentences consisting of repetitive mantra of condemnation “Om sarwwawinasa, sarwwawinasa”. The inscription does not mention number of year. However, from paleographic point of view, it is predicted from VIII-IX century. 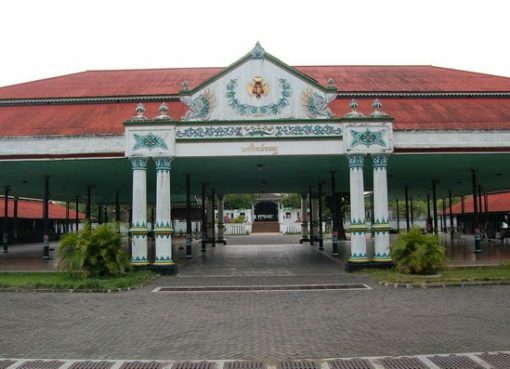 Therefore, there is a possibility that Temple of Ijo comes from the same period. On the 5th terrace, there is a temple with two batur; on the 4th terrace and on the 1st terrace, there is only one temple. Somehow, on the 10th, 7th, 6th, 3rd, and the 2nd terrace there is no temple or building.